"This book has really excellent content. It’s the first point of call for a query, better than standard textbooks. Good authorage and editorial input is evident. 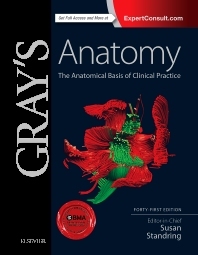 A new edition of Gray’s always has to live up to its historical place in the medical world. The new edition updates content, is well presented, readable and accurate. This is supported by quality illustrations. A book for those wanting a reference source for anatomy which is reliable and current."